When kids have a number of different objects in front of them, like cookies, milk, water colors, birds, or books, it becomes difficult for them to categorize each of them according to the sense that they evoke. Here is a worksheet that will help the kids sort out object according to their sensations and allow the kids to learn in a fun way. 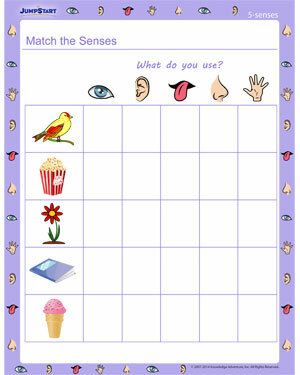 Browse all printable 5-senses worksheets when you're done with this one.